Check out some photos from a recent repaint job west of Orlando in Winter Garden. 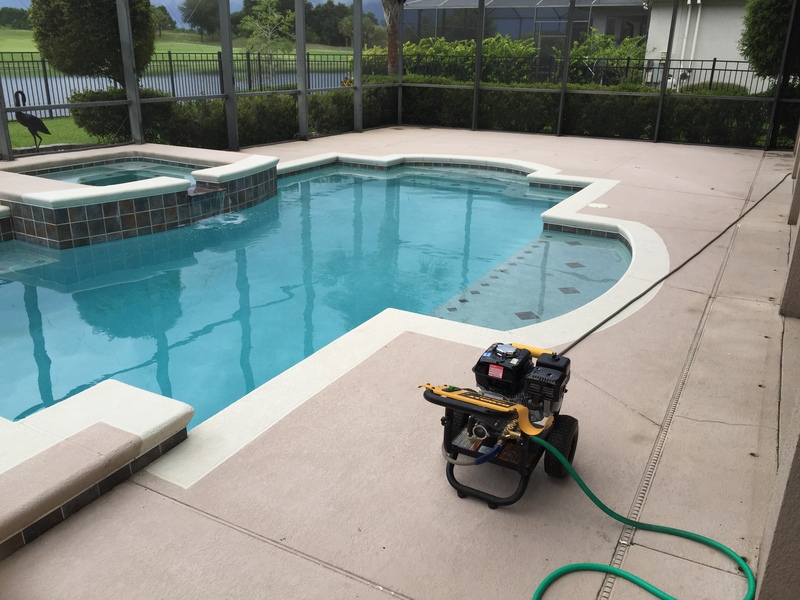 The pool deck was an acrylic spray texture in pretty good condition, but needed some freshening up for the summer. 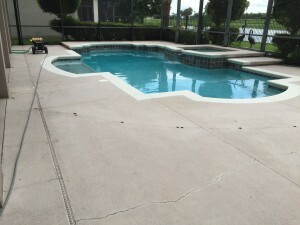 We came out pressure washed, sealed cracks, and repainted the deck. 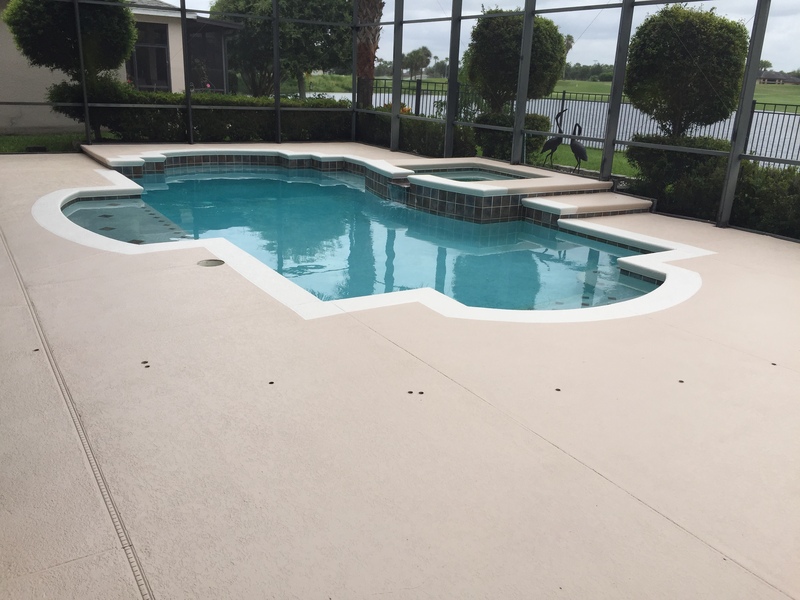 The customer also had the coping around the pool repainted, also known as a color band. 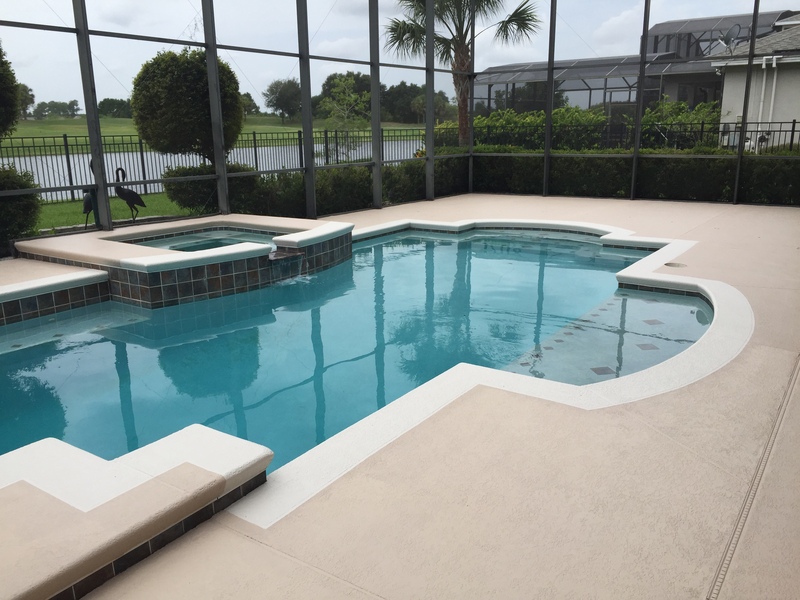 They chose our color Bombay for the pool deck and Sand Dollar for the color band. There is still plenty of time this summer to schedule to get your concrete pool deck, patio, lanai, or walkway painted. We can usually start a repaint job within 1-2 weeks of the signed contract. 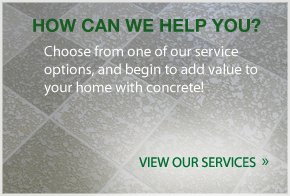 Call the Decorative Concrete Experts today to get more information on resurfacing or repainting your concrete surfaces! 407-342-8552. Before: Notice the large crack. 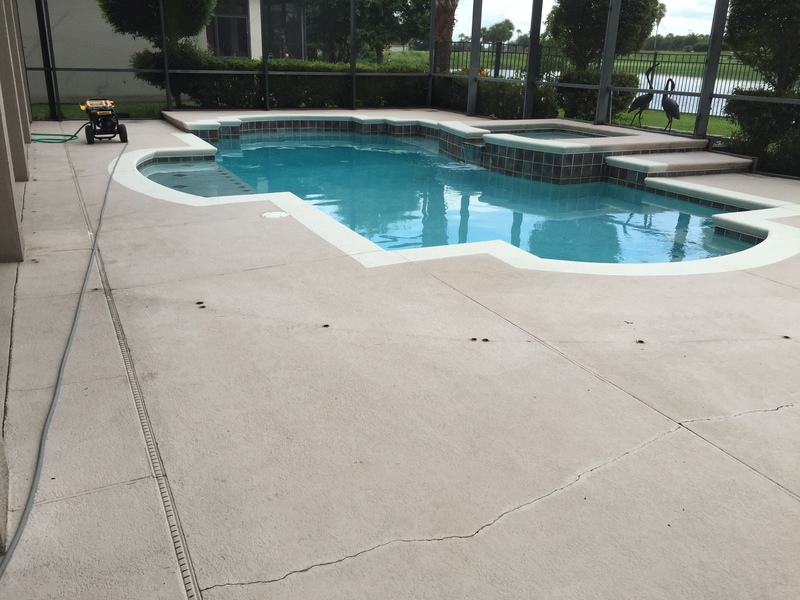 Before: Ready for pressure wash.
After: Sealing the crack has helped to conceal it from the newly painted surface. After: Completed project, Bombay for the deck, Sand Dollar for the color band.